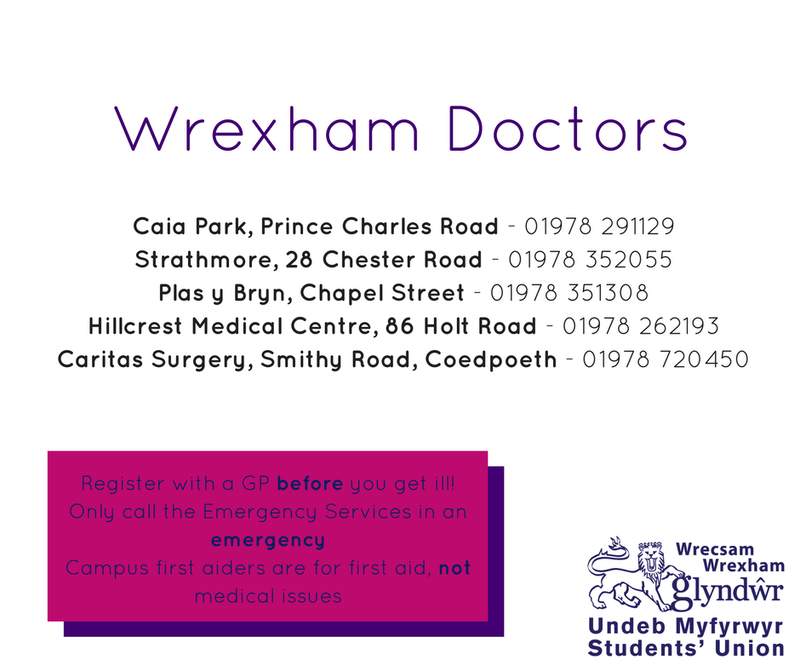 We want you to remain happy and healthy while you are studying at Glyndwr. If however you find yourself going through a difficult time, feel you need additional support, or just want someone to talk to, there are a number of people within the Guild who you can turn to. We can also signpost you to services within and outside the University. Did you know that you can access medical advice for minor health problems through your local pharmacist? Minor health problems include: colds, hay fever, conjunctivitis, headache and fever, sore throat, insect bites and stings, thrush, earache, eczema and allergies. Our nearest Pharmacy is ­Rowlands 43 Rhossddu Road, Wrexham. LL11 2NS. The helpline provided support and information to anyone suffering mental distress as well as to their family and friends. If you are worried, frightened or concerned by your feelings, thoughts or symptoms - then ring or text the helpline. The English language phone number for Wrexham Police is 0845 607 1002. For Welsh language speakers call 0845 607 1001. Alternatively, you can call the North Wales Police number on 101. In an emergency always remember to call 999.